​Follow this link to the Metro High School Activities Association calendar for Bellevue East. 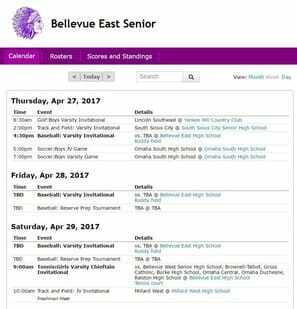 ​Scroll down to April 2017 to view BHS sports and activites during your visit in Bellevue. Who knows, you may want to take in a varsity game.